WiDI is a MIDI sequencer and a control surface in which you play sequences and create controls such as pads, knobs and faders to send MIDI events. 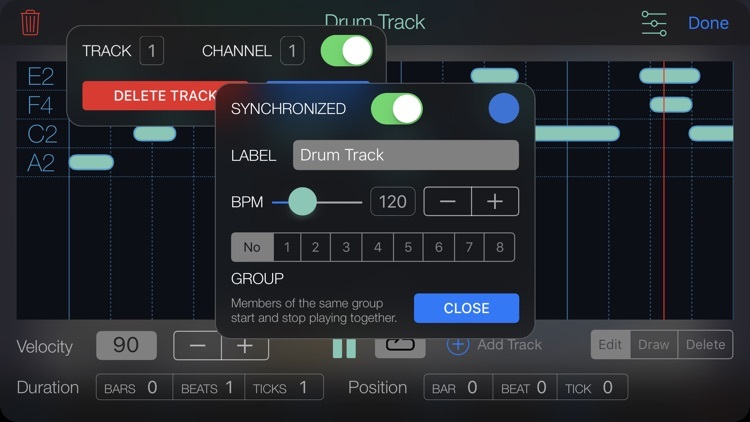 A sequence can hold as many tracks as you wish, and send notes to different MIDI channels. Sequences can play in sync or running freely, and you may group sequences together so they fire at the same time. 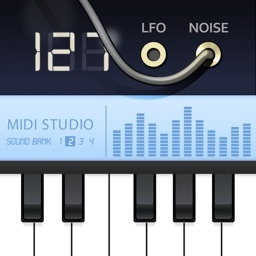 A control is bound to a MIDI channel and a specific Control Change number. You can either specify the CC number if you know it, or let the app learn it. 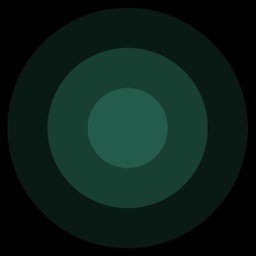 Once placed on the surface, use this control to interact with your MIDI device. 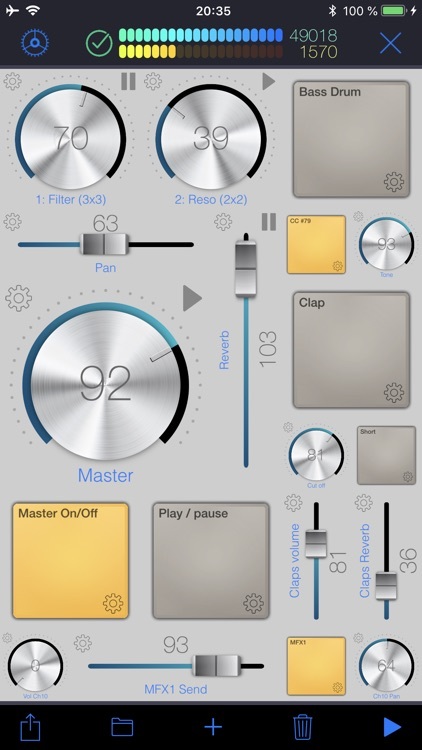 Alternatively, any CC event sent by your device will be shown live by the control(s) bound to this CC. 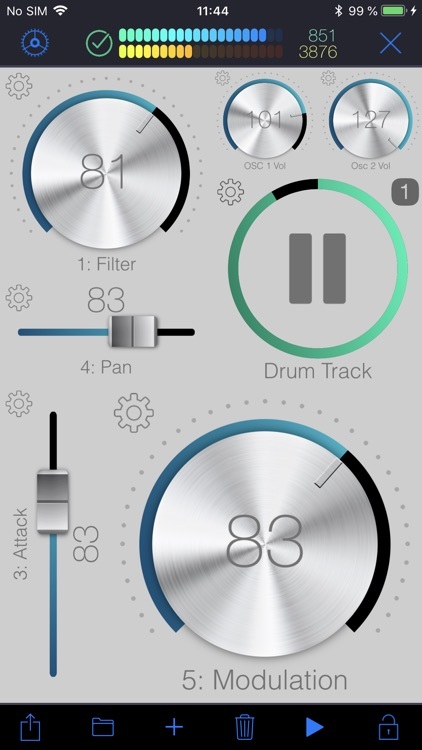 Pads are special controls: they can either produce CC Events or Notes. If bound to a CC, the pad acts as an on/off switch (you specify the values for each state.) 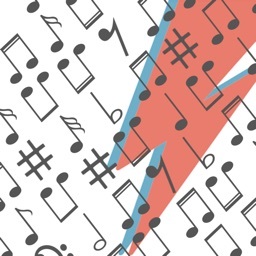 If bound to a note, each tap produces the specified MIDI note. 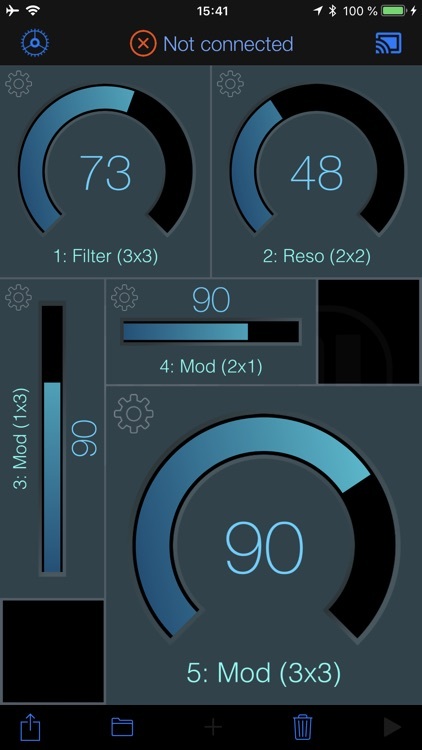 This is particularly useful to operate MIDI instruments without keyboards such as synthesizer modules or drum machines. 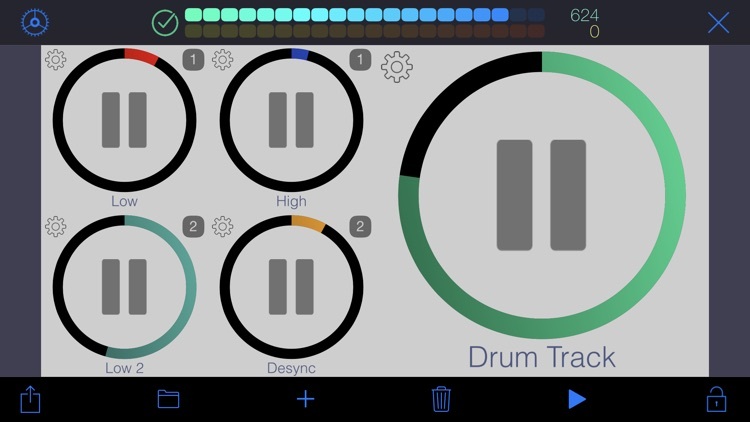 To exchange MIDI messages with your instruments or devices, the app can either use CoreMIDI or the WiDI protocol. 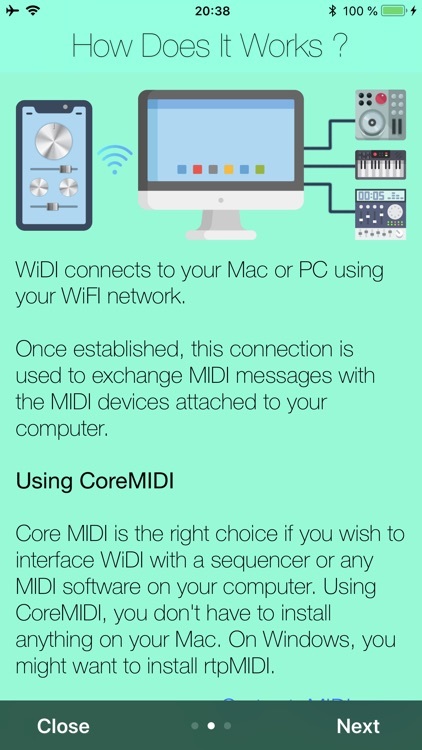 If your MIDI interface (such as a lighting to DIN adapter) is natively supported by CoreMIDI, WiDI can make use of it directly. 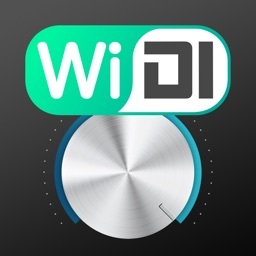 CoreMIDI's Network Sessions are the right choice to interface WiDI over the air with any MIDI software such as sequencers running on your computer. 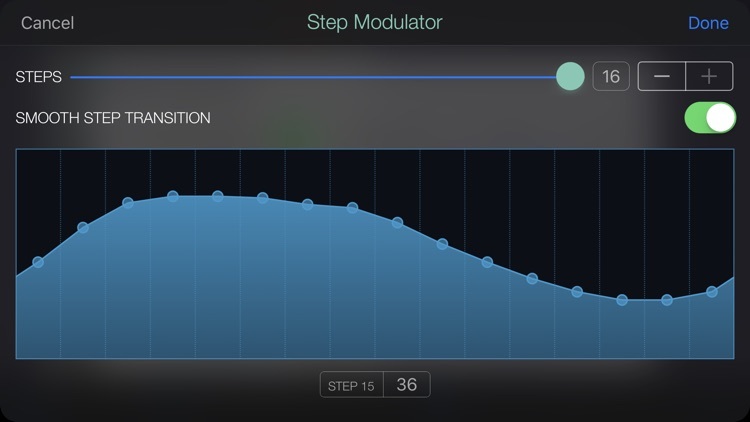 To use CoreMIDI, simply connect to a MIDI Network Session on your Mac or your PC. On a Mac, this is natively supported by macOS, so you do not need to install anything. 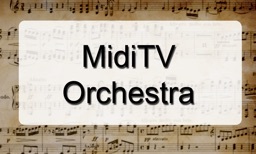 On a PC running Windows, you might want to install rtpMIDI. 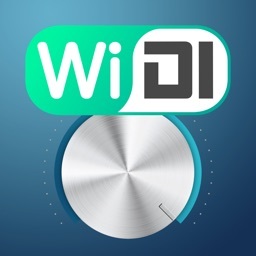 Alternatively, to directly interface WiDI with any MIDI instruments/devices connected to your Mac or PC, use the WiDI Desktop Application. 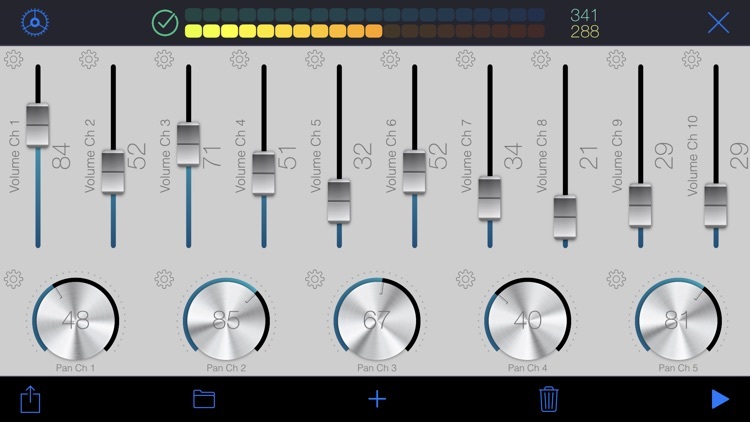 It acts as a MIDI bridge between the network and your MIDI hardware. You can install the desktop application on as many computers as you want (it's free!). It's a very lightweight package that doesn't need to perform any installation procedure whatsoever. ○ Or share them by sending directly JSON-formatted texts, so you may import them on any device you wish afterwards.